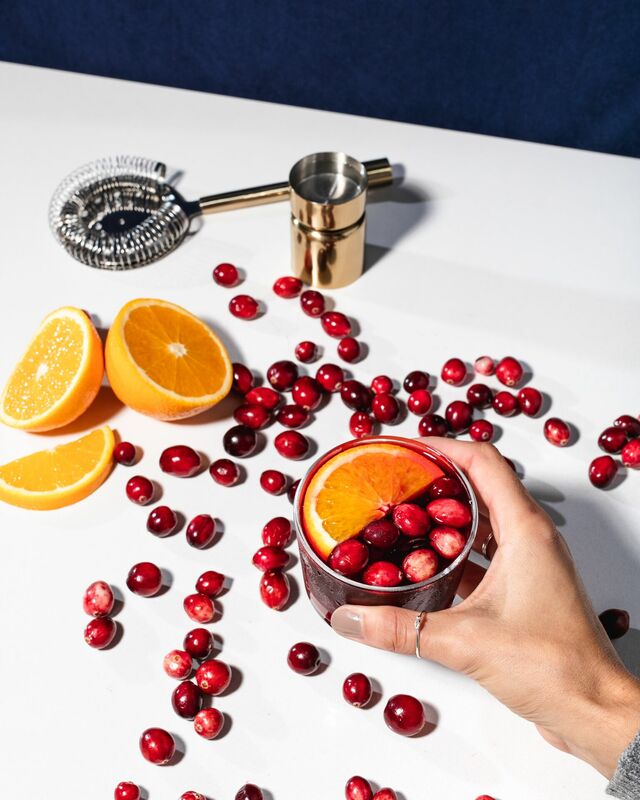 It’s beginning to look a lot like… a month dedicated to giving and feasting! A month that resonates with us very, very well. 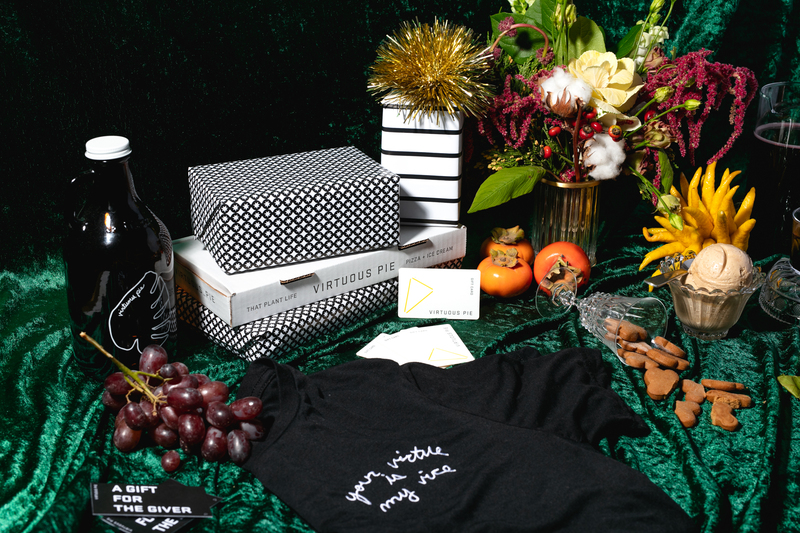 We’re getting into the holiday spirit at Virtuous Pie with holiday features, gift ideas, and community dinners that give back. We’ve also got some exciting announcements for Toronto, and an undisclosed location… you’ll just have to keep reading to find out what we’re talking about! Miso Cashew Gravy, Cranberry + Walnut Stuffing, Rosemary Soy Curls, Herbed Potato Cream, Cranberry Sauce, Fresh Chives. For every Holiday pizza sold, we will donate $1 to Sheway (in Vancouver), Red Lodge Transition Services (in Portland), and Second Harvest (in Toronto). 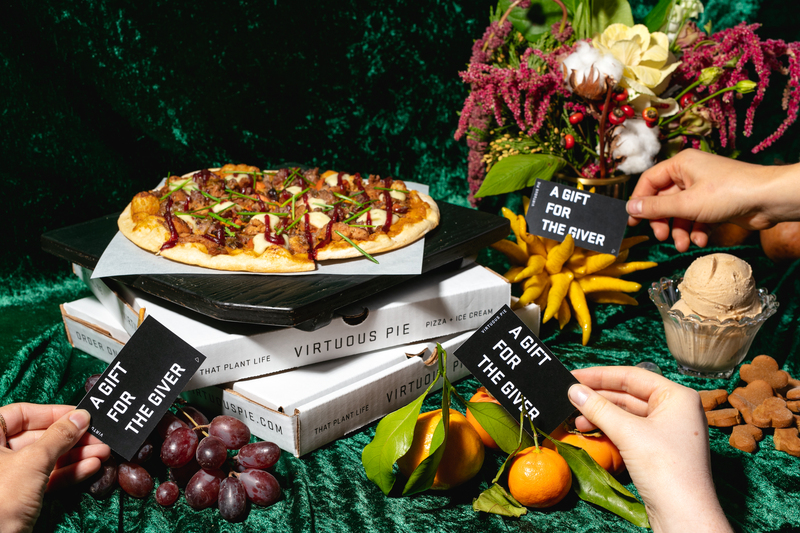 If you’re not into the Holiday Pizza, but still feel like donating, we invite you to round up your bill or make a donation of any amount you would like! Vancouver: Applebarn Cider from the Taves Family Farm in Abbotsford, made with sweet and natural BC grown apples, with no added water, sugar or preservatives. Portland: Ryan’s Cider from Hood River Juice Company, made with fresh 100% organic cider apples. Toronto: Sweet Apple Cider from Spirit Tree Estate Cidery, made from 100% fresh pressed Ontario hand-picked apples. 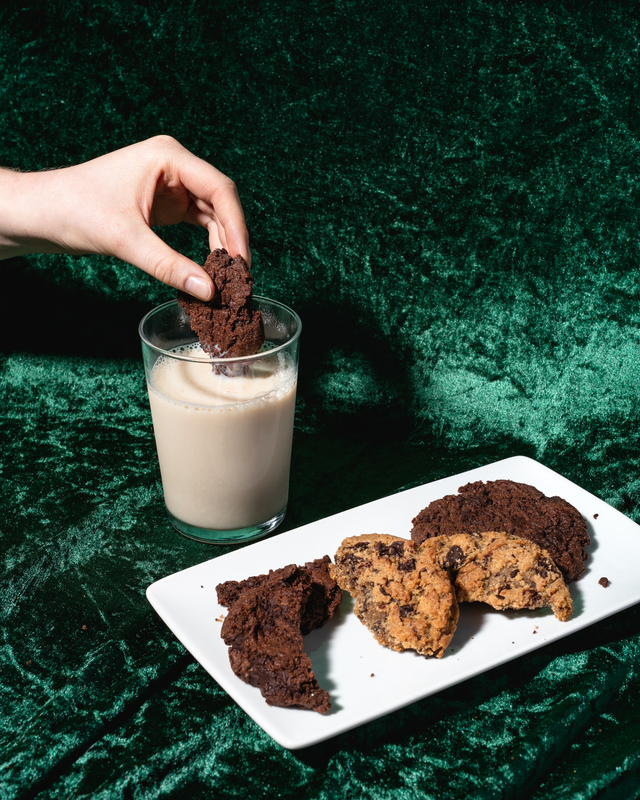 ‘Tis the season for giving… and receiving! Gift for the Giver is back in Vancouver and Portland, and making its debut in Toronto. 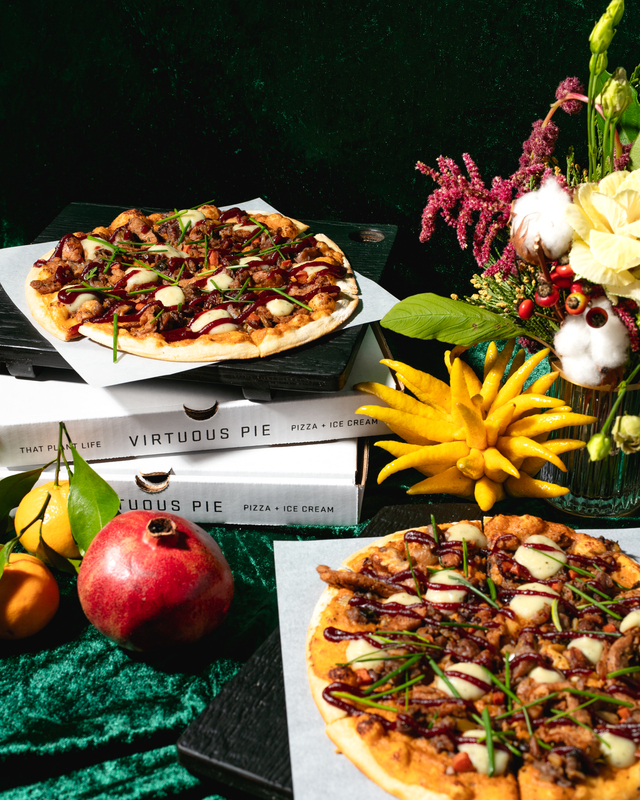 Until December 31st, for every $30 you spend on Virtuous Pie gift cards, receive a $5 voucher for yourself, and for every $100 you spend on Virtuous Pie gift cards, receive a $20 voucher for yourself! Gift cards can be purchased in store at any location, and vouchers can be redeemed from January 1st to May 31st, 2019. On Sunday, December 16th, we’re teaming up with our friends at Kokomo in Vancouver to host a Holiday Dinner Exchange to give back to the community. Bring 3 vegan non-perishable goods (see list below*), and get a FREE holiday bowl for dinner. Think Virtuous Pie Holiday Pizza meets Kokomo Macro Bowl. Bring 3 vegan non-perishable goods in exchange for a holiday bowl! Dried fruits: such as raisins, figs, dates, cranberries, etc. Toronto, we came FOR you, and now we’re coming TO you! On Monday, December 10th, we’ll be launching delivery services across both Uber Eats and DoorDash, who is offering some exclusive discounts! We’re excited to host another art exhibition in Portland, this time by one of our very own staff: Madison Inama. “This collection, BLOOM, is especially important to me because it allowed me to show the simplicity and beauty of our environment that we so often look beyond. We tend to look past the nature and don’t recognize it for all that it does for us, so this collection is here to show you the intricacy and importance of Mother Nature through a new perspective of clean lines displayed with appreciation,” says Madison. We will be showing BLOOM until mid-January, with pieces available for purchase come the end of the show! 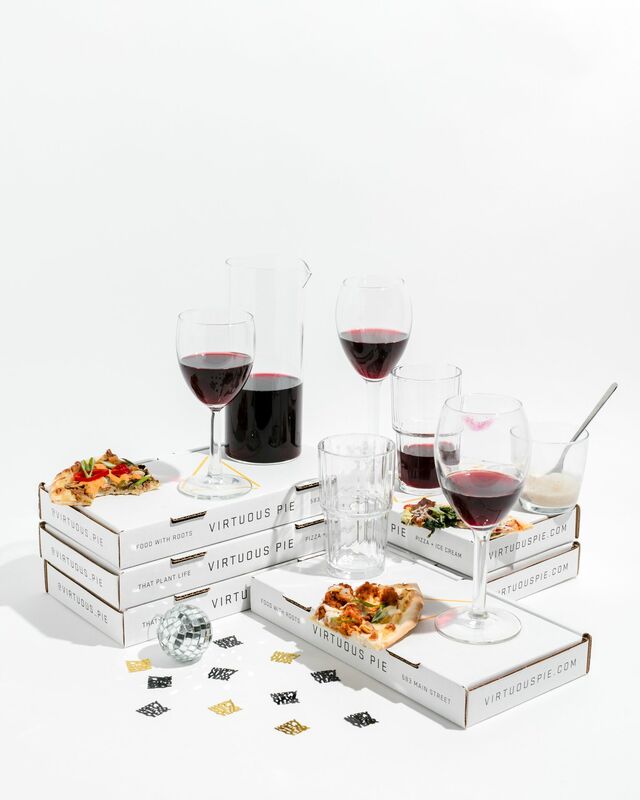 On Monday, December 31st, we are hosting our second annual all vegan New Year’s Eve Dinner from 6-9pm at Virtuous Pie PDX! The evening will feature a four-course plated dinner curated by our Head Chef with proceeds going to Red Lodge Transition Services. Tickets are $60 and available now! You are welcome to bring your own beer + wine bottles (no corkage fee), or purchase from our list of local draft beer, wine, or craft cocktails at the event. Last but not least, we want to thank everyone who participated in our World Vegan Month passport challenge in Vancouver and Portland. We appreciate your support and dedication to eating plant-based throughout November, and hope you enjoyed participating! 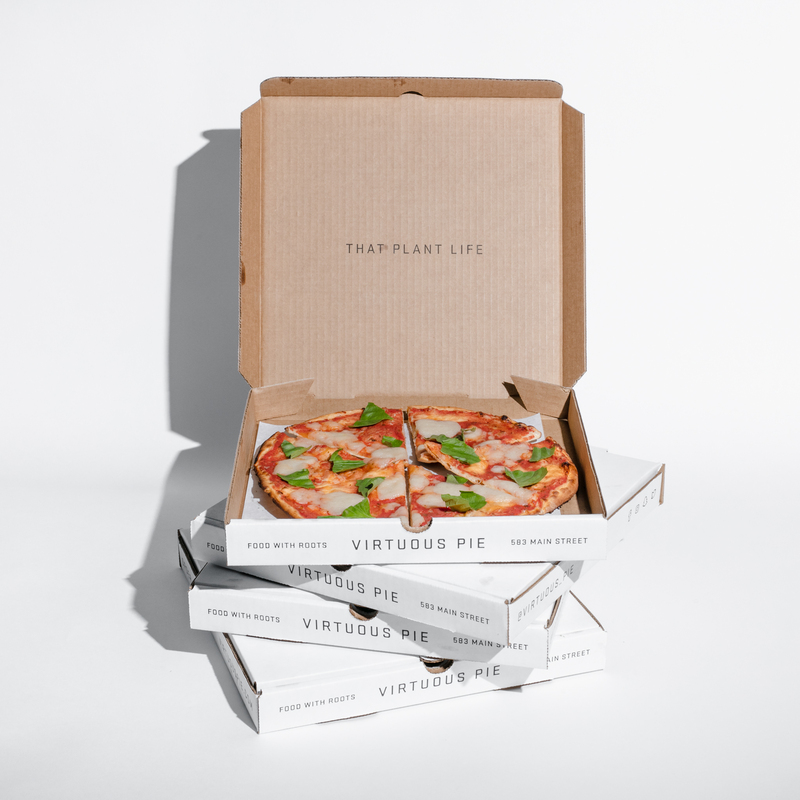 Congratulations to the 5 winners in both Vancouver and Portland; enjoy your plant-based prizes! That’s right Victoria, we heard you and now we are coming for you! We are beyond excited to open our fifth location in downtown Victoria at 530 Pandora Avenue in the spring of 2019. We can’t wait to be a part of this vibrant, close-knit community including university students, young professionals, growing families, and recent transplants from the mainland. Home to several plant-based eateries and businesses already, we’re excited to be in great company.